Address: Shop-c/09, Ground Floor, Classic Tower CHS LTD, Evershine Classique, Near Broadway Mall,, Vasant Nagari, Vasai East, Vasant Nagari, Vasai East, Thane, Maharashtra 401208. Offers a relaxed and unique dental care experience, coupled with the highest standards of dental treatments. Dentistry absolutely need not to be anything less than a pampered pleasant experience. 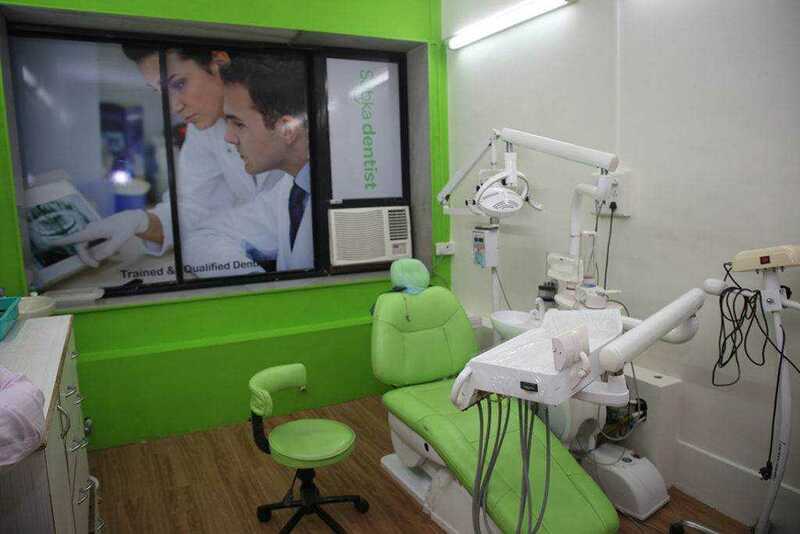 Dental treatments in Vasai at Sabka Dentist dental clinic confines in a calm surrounding and, will amaze you with how painless and fast most of the modern dentistry is! At Sabka Dentist, our aim is to provide good oral health and create beautiful smiles. In the process of achieving this, we provide an excellent implant, preventive, restorative, and conventional dentistry. Our commitment to these goals provides you with unparalleled service with the highest standards of dental hygiene in a comfortable and pampering environment. We know you will be delighted, not only with the treatment but with the way you are treated. Here you will find a welcoming ambiance with warm, friendly staff and total transparency.